And T-Mobile and Verizon are accessories to the crime. The $549 6T is easily OnePlus's most exciting release since the original One. Back then, it was the company's invitation-only ordering and premium-specs-for-less promise that made the One such a hyped phone, and for good reason. It might not have had all the bells and whistles of a Galaxy S5 or HTC One M8, but the One was close enough to make some noise. 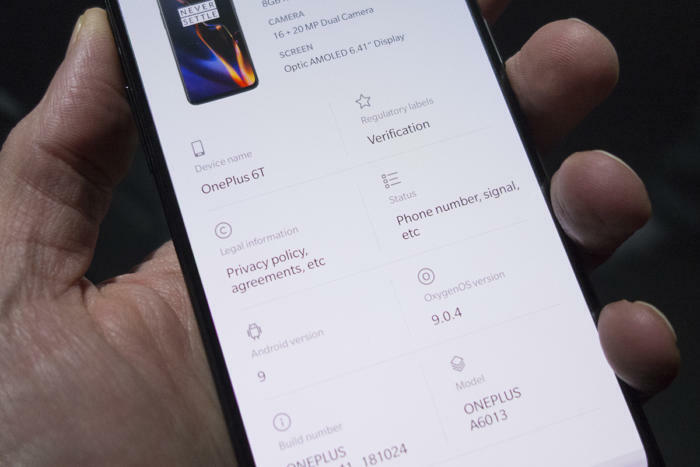 But for the first time with a OnePlus phone, the 6T's awesome specs don't tell the whole story. The OnePlus 6T is slightly bigger and thicker than the 6 thanks to a larger screen, but it’s not something you’re likely to notice while using it. What you will notice is the notch. That’s because it's way smaller than on the 6, with a “teardrop” design like the Essential Phone and Mate 20. It’s so small and unobtrusive, in fact, that adding the blackout bar actually degrades the experience. The display is wrapped in Gorilla Glass 6 and comes with a pre-applied screen protector, but I definitely saw a fair number of small scratches on the one I used. It very much feels like first-generation tech, though. Setting up my fingerprint took at least twice as long as it does any other Android phones, and the failure rate of unlocking was relatively high as well. Chiefly, it's hard to quickly nail the spot where your finger goes without the inherent boundaries of a physical sensor. Also, it seems to work much better in bright overhead light, which I suspect has to do with the optics of the sensor, which requires a burst of green light to "see" your fingerprint through the display. All in all, I appreciated the effort, but I can understand why Samsung and Apple have opted to hold off on an in-display sensor. It's just not as good as other methods. OnePlus has always excelled on paper, but the 6T improves in one key area: LTE band support. Like most China-based OEMs, OnePlus phones have always had spotty carrier support, with T-Mobile and AT&T unofficially working and Verizon users being shut out. 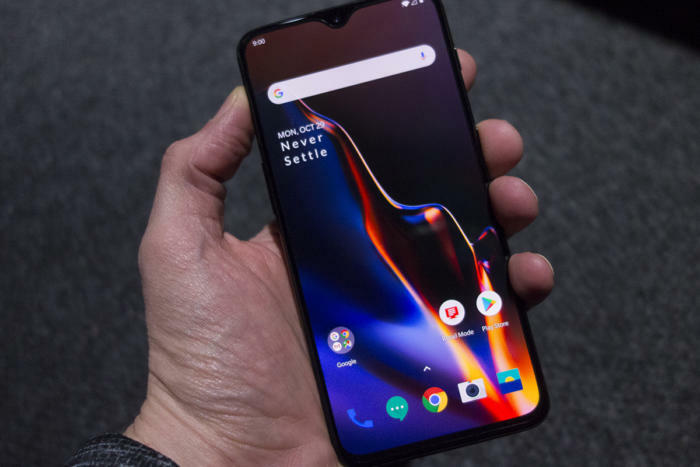 That didn't stop OnePlus phones from selling to Android enthusiasts in the U.S., but it did prevent the company from reaching anything close to mainstream popularity. That's probably going to change with the 6T. OnePlus has partnered with T-Mobile to sell the 6T in carrier stores, which will give it a retail visibility like never before. But perhaps even more important to the OnePlus 6T's success is a small addition to the LTE Bands: 13. That means you can pop in your Verizon SIM and you'll actually be able to make calls and send text messages on your OnePlus 6T. I tested it out and there were no issues. However, because the 6T only supports bands 2/4/5/13/46/48/66 on the network, there could be some areas where data is delivered more slowly. Regardless, it works, which is more than Huawei, Oppo, ZTE, and Xiaomi can say. All in all, the OnePlus will be supported by nearly 250 carriers around the world, including Gigabit LTE on T-Mobile. 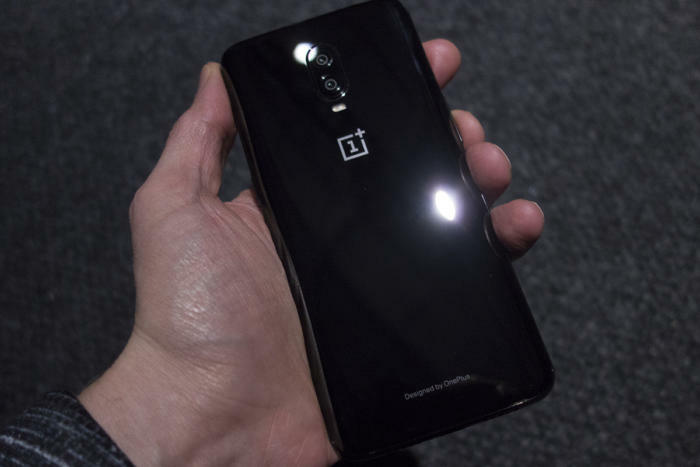 That eliminates OnePlus's biggest obstacle to success, and should make its competitors concerned. But you'll have to wait for the OnePlus 7 if you want wireless charging. You'll also be saying goodbye to the headphone jack, though a bundled USB-C to 3.5mm adapter will take some of the sting out. That's nice and all, but even Apple has learned that wireless charging is basically a standard feature when you have one port. By removing its headphone jack, One Plus was able to bump the battery by 400mAh, which the company says will lead to 23 percent better battery life. I'll test those claims once I use the phone for a while, but based on previous OnePlus phones, I'm willing to give OnePlus the benefit of the doubt. 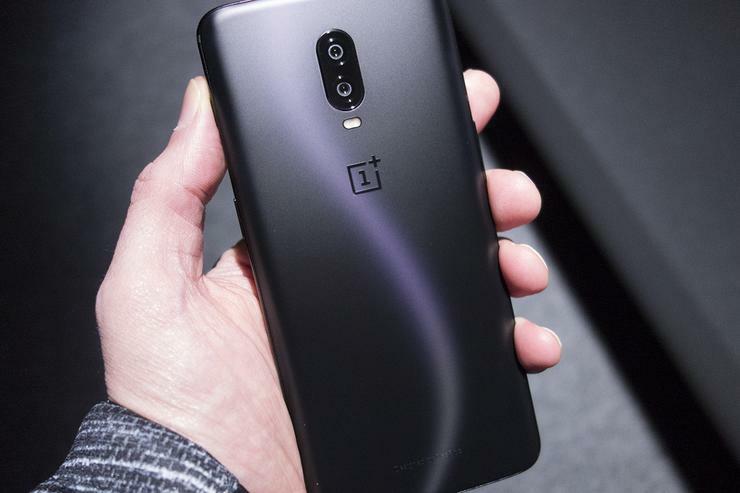 The camera is essentially the same as on the 6 as well, but OnePlus has tweaked its image processing to deliver better low-light shots a la Google's Night Sight and studio portrait lighting similar to the iPhone XS. OnePlus is so confident in the new low-light algorithm, it's bringing it to the OnePlus 6 via an update too. That's Android 9 Pie out of the box on the OnePlus 6. 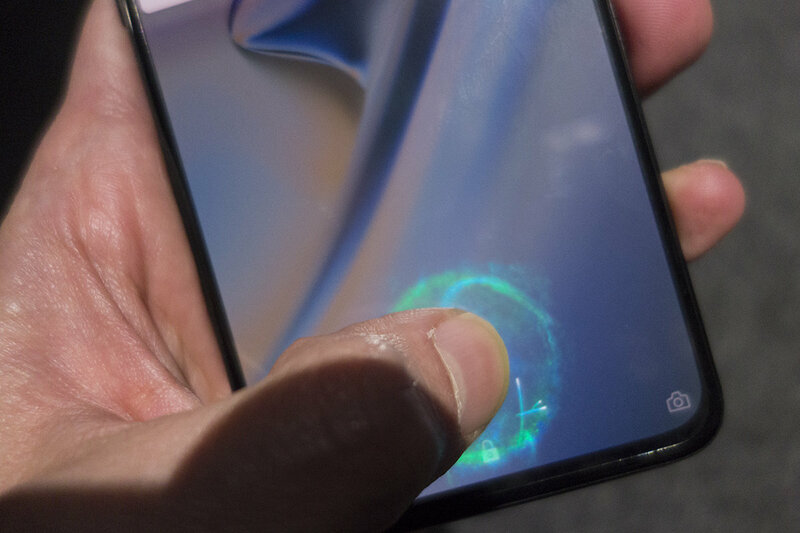 Speaking of software, the OnePlus 6T runs Android 9 out of the box and has a new version of its own gesture-based navigation system. It's kind of a cross between Apple's and Google's methods, and I much prefer it to the one in stock Pie. OnePlus says they have made more than 500 optimizations within OxygenOS to make it snappier. I didn't have a chance to check that number, but animations and scrolling feel as buttery smooth as they do on my Pixel 3 XL, which is saying something. But once again, the biggest selling point of the OnePlus 6T is literally the price. The price has increased again, mind you, but the $20 hike over the entry-level 6 also gets you twice as much storage (128GB vs 64GB). Another $20 gets you 8GB of RAM ($579) and the top-of-the-line model with 8GB of RAM and 256GB of storage costs $629. That's close to half the price of the 512GB Note 9. But OnePlus phones always cost hundreds of dollars less than its direct competitors. The difference is this time, people will actually get to see the difference with their own eyes.